There are a lot of things about tourists that drive us locals absolutely insane, but the worst thing in the world has got to be their god-awful fashion sense. Fanny packs, socks with sandals, unironic Hawaiian shirts - the whole thing is an interesting sight (but not in a good way). And then comes Spring 2014. I had already seen the beginnings of the troubling trend on street style stars and I hoped it would quietly come and go, but Marc Jacobs and Miuccia Prada, to name a few perpetrators, took many aspects of tourist wear and turned them into sartorial stars. 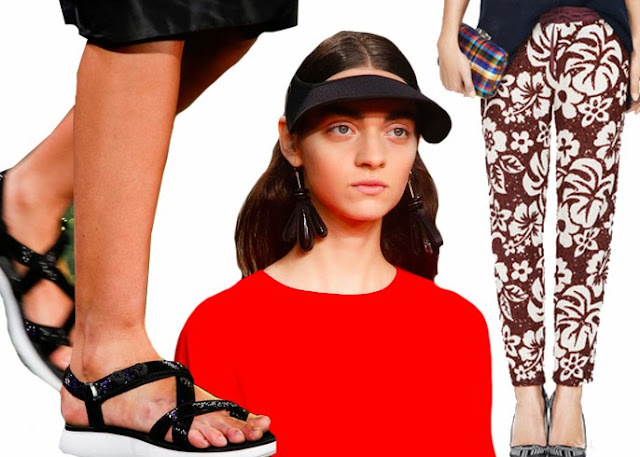 People can't stop gawking over the bedazzled Teva sandals at Prada and the socks-with-sandals combo at shows like Band of Outsiders. For so long I've been sure that these were the clothes of the outsider, the stranger, the person who comes and actually stays at the fancy hotel that my friends and I occasionally sneak into. 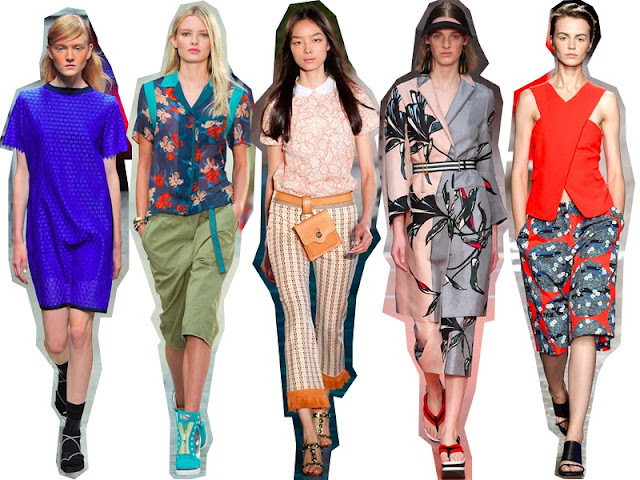 And now the tables have turned, and these tacky tourist staples are actually cool? No freakin' way. Of course, where the tourist wears these garments out of comfort, utility, and mistaken stylishness, the fashion-savvy artfully arrange their fanny packs and visors with sleek, minimalist jumpsuits and dresses to achieve the ultimate fashion equilibrium between utterly cool and hopelessly dorky. Not an easy accomplishment, I must say, but even I'll admit they look pretty awesome.